Let us take care of your heating and cooling system 365 days a year! Central Iowa Mechanical offers a Premier Comfort Savings Plan (PCSP) which covers year-round Residential heating and cooling. Lengthening equipment life can ultimately save you money – not only from costly breakdowns, but on your utilities as well. 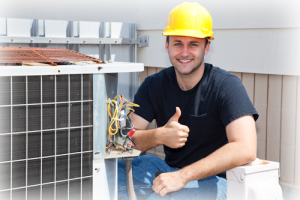 Our staff of professionals will evaluate your personal heating and cooling systems and create a customized plan for you. With this plan, you can be reassured that properly maintained equipment will have a longer life. Call or email us today to discuss this wise and cost-effective choice to protect the heating and air conditioning system in your home! NOTICE: Not all systems can be accepted into this plan. Air Filters, Humidifier Water Panels and Canisters, as well as UV Lamps are not included in base plan pricing – but can be, as an additional option.